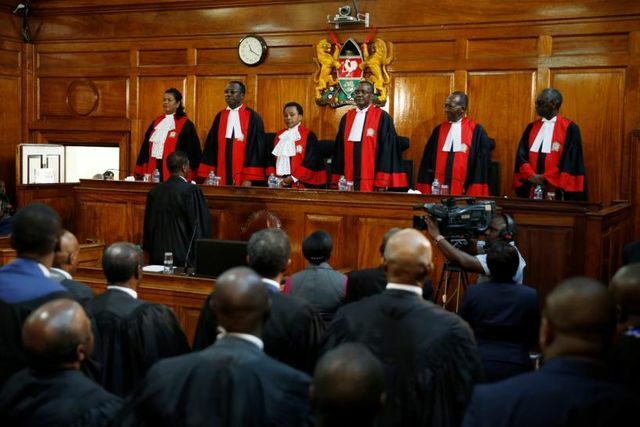 On Friday morning, the Supreme Court of Kenya nullified the results of the Presidential election of 8 August. The ruling supported the case of the opposition candidate, Ralia Odinga, who alleged that the results were hacked and the process was marred by irregularities. The court ruled that the electoral commission (IEBC) “failed, neglected or refused to conduct the presidential election in a manner consistent with the dictates of the constitution”. A more detailed ruling is set to be published later this month. The court backed the claim that the integrity of the results were compromised, although it ruled that there was no misconduct on the part of President Uhuru Kenyetta. While this is a historic moment for judicial independence in the East African nation, subsequent instability could increase ethnic tensions and weigh on economic activity. Security risks will increase in the coming months ahead of new polls. Tensions are already elevated by sporadic post-election violence, fake news and widespread distrust of IBEC. August’s election was relatively peaceful compared to recent votes, despite the heightened rhetoric of the candidates. Nevertheless, many urban Kenyans travelled to rural areas on polling day to avoid violence, and at least 28 people were killed in the aftermath. As in 2007 and 2013, violence has been provoked by suspicion of the electoral commission, which struggled to prepare the electoral systems in time. Following the murder of a leading IEBC official and a public failure to correlate electronic and paper election results, the Supreme Court has now further damaged the commission’s credibility. It will probably struggle to organise the re-run as well, given the 60-day limit mandated by the Supreme Court. The August election was also marked by a proliferation of fake news, which widened partisan polarisation and incited conflict between rival supporters. Disinformation is likely to intensify ahead of the re-run, reviving fears of a repeat of the devastating nationwide violence Kenya suffered in 2008. Kenya remains a leading investment destination in Africa and an economic powerhouse in the region, but the prospect of the re-run heightens business interruption risks and will stall investment activity. The election also will add to the fiscal headache caused by the original election, which cost the state KSH 50bn (USD 481mn). The fresh election will test Kenya’s commitment to its political system, any further controversies would further increase Kenyans’ disillusionment with their institutions. The eventual winner will also struggle to claim legitimacy given the charged partisan context and the high stakes of the Presidency. The ruling gives cause for optimism in the long term, however, as it has affirmed judicial independence and the rule of law. If the new election is peaceful and its results are widely acknowledged, Kenya will burnish its reputation for democratic development in East Africa. The opposition case hinged on the election board’s failure to post online tally forms from each of the 40,883 polling stations before announcing results. The forms were supposed to be signed by each party’s agent, as a hard-copy backup to the electronic transmission. But thousands of forms were missing from the board’s website when it announced results. A report by independent court-appointed experts found many forms lacked official stamps, signatures or serial numbers.